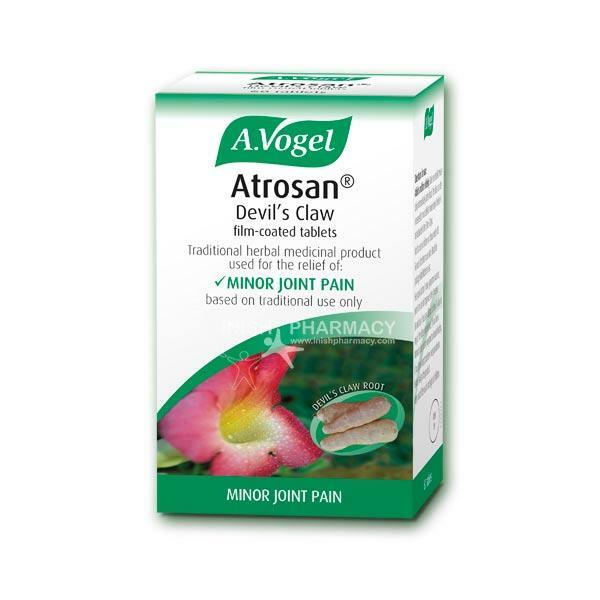 A. Vogel Atrosan Devils Claw is used to help relieve minor joint pain. It is a traditional herbal medicinal product and positive results are based on use over a long period of time. Atrosan is not to be taken if you are pregnant or breastfeeding, have a stomach ulcer or under 18 years old.